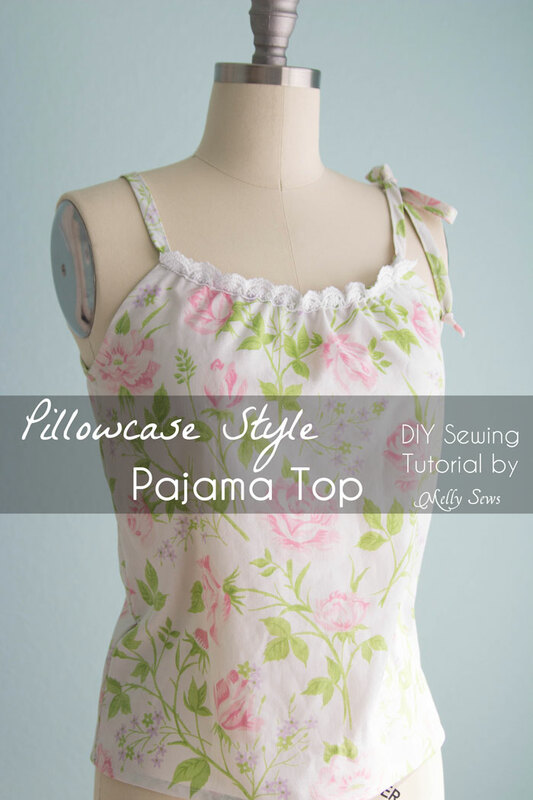 Hey y’all – today I’m going to share how to make the pajama top you saw pictured in last week’s post with the scalloped pajama shorts. This is a variation on the pillowcase dress I made a couple years ago, with the addition of a lace detail on the neckline. Because VINTAGE SHEET OBSESSION. I know that’s not a new thing, but it’s MY new thing, and the Coach had to pry my fingers away from Etsy as I went crazy buying some. Oh, and I’ve got more vintage sheet sews planned, and may or may not have gotten back to browsing as soon as the Coach left the room. Just like the original dress, this was super easy to make, and you can draft it for pretty much any size. The tie detail on the shoulder is my favorite part I think. 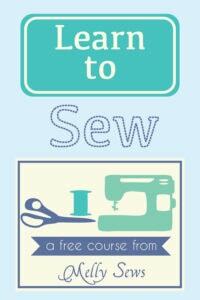 Want to make your own? First, you’ll need to measure yourself, measuring your bust and hips and then the length from your collarbone to your hip area – basically where you want the top to end. Now the diagram below says to use your bust measurement. I had you measure your hips too, because if you’re pear shaped you might want to use your hip measurement anytime it says bust measurement. That’s option 1. Option 2 if you’re pear shaped is to flare the top out instead, as shown above. I DID NOT FLARE MY TOP – mine goes straight down the sides, like the dashed lines above. If your hips are smaller than or equal to your bust, that is the option you want to do. No matter whether you choose straight down or flared out, you’ll go ahead and follow the instructions for the armholes and neckline. 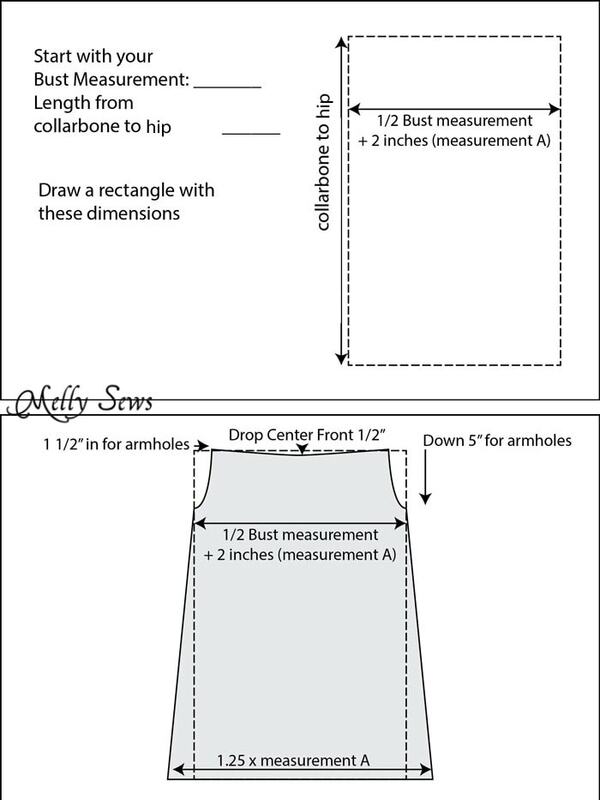 Finally, add 1/2″ seam allowances to the sides and 1″ to the bottom edge, then cut out your pattern. About 1 yard of fabric; might be more or less depending on your size. 2 yards of 1/2″ wide double fold bias tape. I made custom bias tape like this. 2 yards of 1/2″ wide single fold bias tape. I’ve got the video tutorial for this shirt below, or if for some reason it doesn’t load you can also watch it on YouTube here. If you prefer a written tutorial, scroll past the video for the still shots I grabbed. 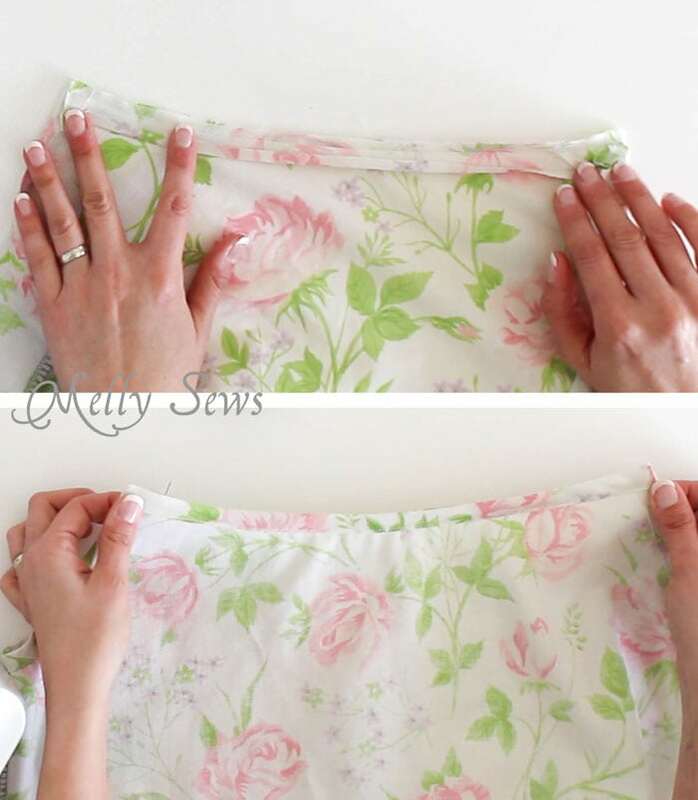 Start by placing your two pieces right sides together and sewing down the side seams. Finish these seams. Need help with seam finishes? Check this post. Next, open your top and refold so you’re looking at just one armhole. The picture below shows the wrong side, but you actually want to turn the top right side out for the next step. With the top right side out, unfold and pin single fold bias tape along the armhole. Stitch in the crease line closest to the raw edge. 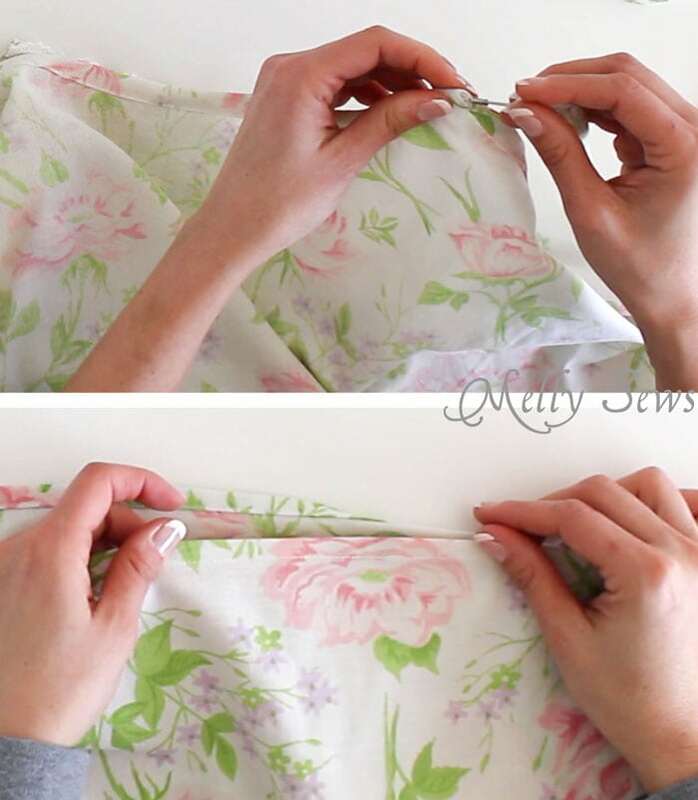 Turn the bias tape to the wrong side of the fabric and refold. This will cover the seam allowance from the previous step. Stitch along the edge of the bias tape to secure. Repeat this process on the other armhole. 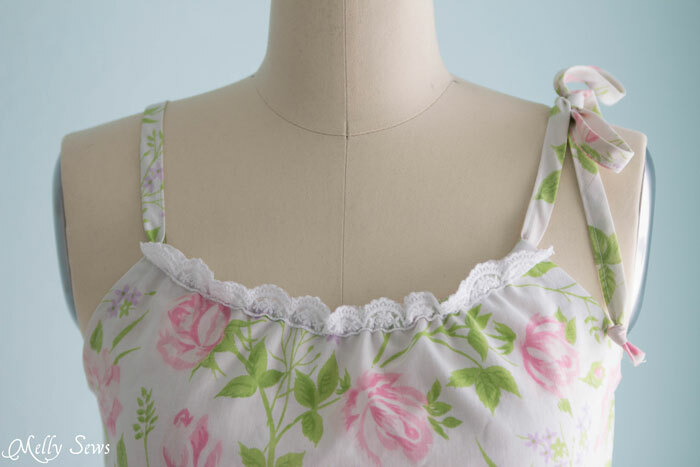 You’re going to do the same thing to the front and back neckline as you did to the armholes, EXCEPT you need to fold the short end of the bias tape about 3/8″ in to the wrong side before you start pinning. This will ensure that there are no raw edges peeking out. 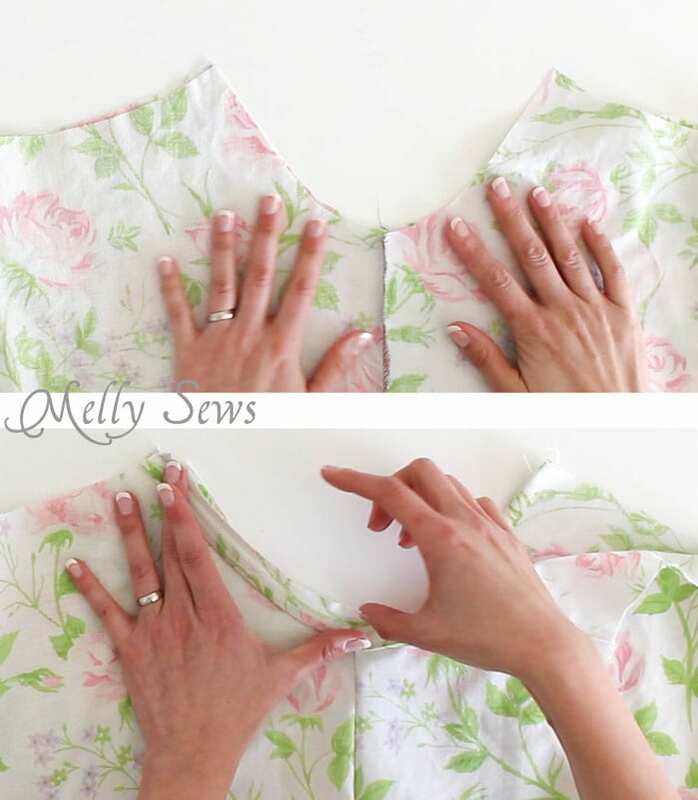 After stitching the bias tape along the neckline, then folding it to the inside and stitching along the bottom edge, you will have formed a casing for the tie. If you’d like to add lace, stitch along the same stitching line you made to secure the bias tape, otherwise you’ll close the casing and it won’t work. 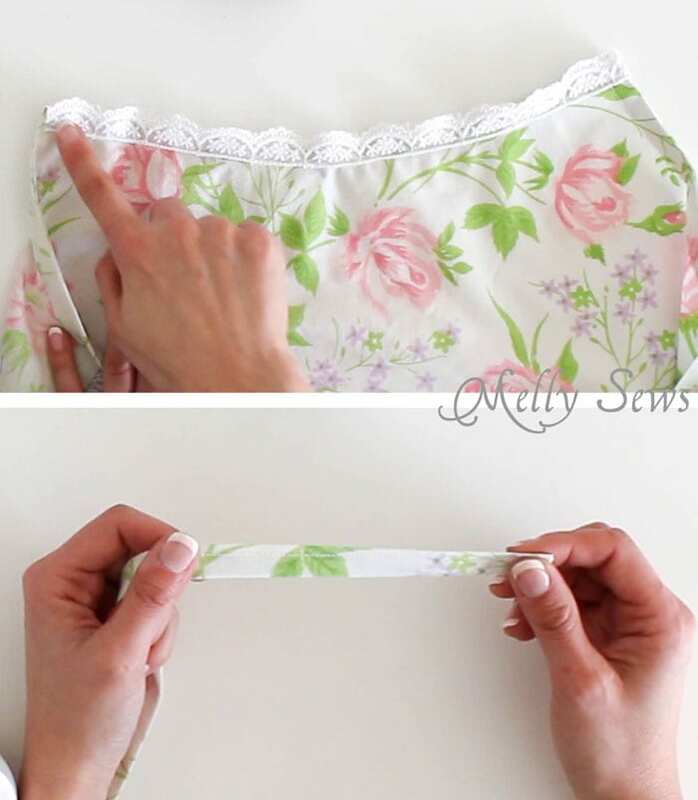 Now take the double fold bias tape and sew it closed along the folded edges to form a long tie. Side note: if you don’t want to use bias tape, you can also use 1/2 wide ribbon for the tie. Put a safety pin through the end of the tie and use it to thread the tie through the neck casing then around and through the other neck casing so that both ends hang out on the same side of the shirt. Remove the safety pin and knot the ends of the tie. Finally, hem the bottom edge of the shirt by folding the bottom edge twice to the wrong side and stitching. 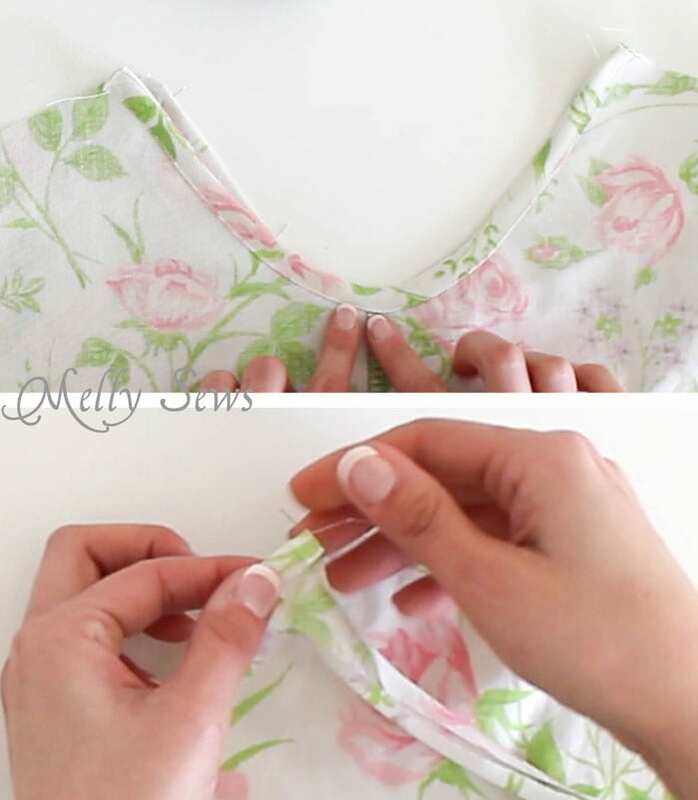 Evenly distribute the neckline gathers and tie the shoulder to finish the top. You know, I love the look of this top so much, I just might wear it as a summer tank too. Just love it!! It’s absolutely adorable! Can’t wait to make a set for myself. 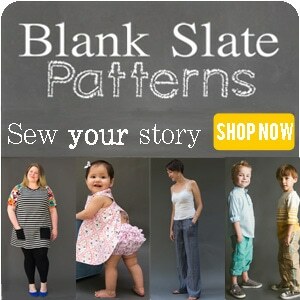 Thanks for sharing this darling pattern. I love the vintage look also. The tie strap is fabulous and would be another thing to make me feel awesome wearing it too. Thanks so much for sharing! ? I love this patten, thank you for sharing. Recently I made bloomers as pajamas and have been looking for a simple pajama top pattern to match and this was perfect! I just made it longer and wider on the bottom like suggested for pear shape and then ran a second casing just under the bust and put a little bow on the front to match the darling strap. Do you think I could use a knit for this?